What can the success of a small-town fishmonger teach us about the financing needs of entrepreneurs? Quite a bit, according to TechnoServe's Chile country director. This post originally appeared on NextBillion. When I met Mauricio a year ago, he made a steady living by operating a tiny fish market in the little town of Nogales, Chile. But he had always dreamed of growing his company into the largest fish retailer in the county, using this greater income to improve his family’s wellbeing and pay for his children’s education. Unfortunately, Mauricio’s idea stayed on the back burner for years as he struggled to find the substantial funding needed to make his dream a reality. 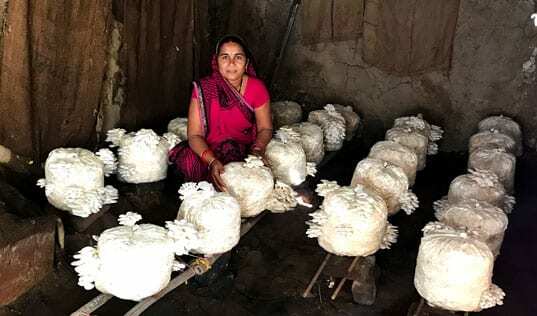 The inability to access capital is a frequent obstacle for would-be entrepreneurs in the developing world. But most of the energy spent on solving this problem is currently focused on the financial industry, or the supply side of this missing market. Many entrepreneurs tell us they have put their business goals on hold for lack of funding. Instead, we should focus more attention on the demand side of funding – working with entrepreneurs to help them qualify for credit and find creative ways to do more with less. So in Mauricio’s case, we should ask some important questions: Did he really need all the money he thought he did? Could he take steps now to achieve his dream with a smaller, more accessible amount of capital? Since we started our small and growing businesses (SGB) acceleration practice at TechnoServe Chile, we have supported hundreds of entrepreneurs in situations like Mauricio’s. Through TechnoServe’s programs, client businesses go through a process of group workshops and one-on-one advisory services in order to gain basic managerial tools, identify opportunities for growth and design, and finally, implement plans for capturing these opportunities. Like Mauricio, many entrepreneurs tell us they have put their business goals on hold for lack of funding, and are eager for help raising the capital they need to unlock their potential. So we often start by switching the focus. Instead of helping our client businesses obtain immediate capital, we work with them to build a realistic implementation plan for their enterprise – one that can be financed with the capital they currently have or could more easily attain. "The program helped me to grow as I never imagined before." Mauricio was open to new ideas. After receiving appropriate training and advice from TechnoServe, he decided to grow his business incrementally. With the knowledge he had obtained in the program, he improved his marketing and pricing strategies and saw a resulting increase in sales. Carefully managing this additional capital, he then successfully launched a small seafood restaurant. In less than a year, Mauricio’s sales increased fourfold, starting a virtuous cycle of growth. 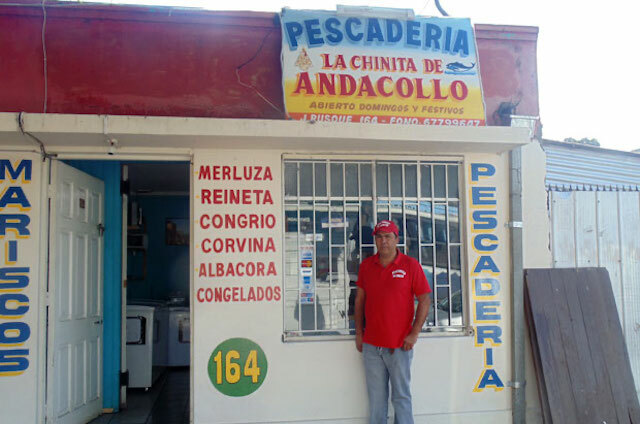 He is now saving to open a second branch in the next town and to buy the equipment needed to operate a seafood distribution business covering the whole county. Mauricio’s business growth has already benefited his community by creating new jobs for four workers, and three additional workers are expected to join the company in the coming weeks. The experience of entrepreneurs like Mauricio teaches us that when tackling financial inclusion problems, we need to readjust our expectations for required funding of SGBs. Of course, we should also continue to work on improving and expanding the supply side of financing, as financial institutions could and should do much more to provide competitive financing solutions to unlock the potential of these small businesses. But we also need to invest in helping entrepreneurs develop the managerial capabilities required to pursue their dreams, even if it means achieving those dreams over a longer time horizon. As was the case with Mauricio’s business, the total investment required for entrepreneurs to start on a path to growth is often much less than what they initially thought necessary. A couple weeks ago, I met up with Mauricio, and I was glad to see him so confident about his business, his ability to support his family and his prospects for achieving his dream. “The program helped me to grow as I never imagined before,” he said, reflecting the tremendous sense of empowerment that he now feels. 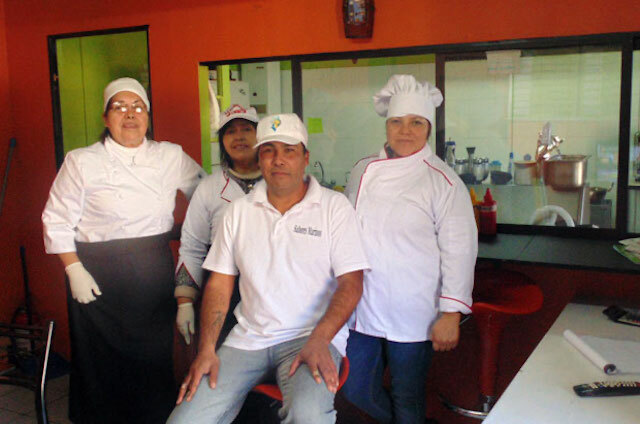 In 2015, TechnoServe Chile – in partnership with the Chilean government, large corporations and the Inter-American Development Bank – expects to work with 1,000 new entrepreneurs, helping them set the stage for long-term business success. In each of those cases, we will begin by working with the entrepreneurs to figure out what they really need to achieve their goals. Armed with that knowledge, many will go out and unlock their own potential.